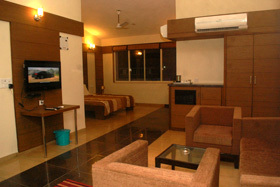 Tastefully Furnished with Luxurious Features. 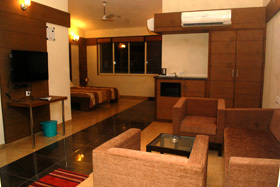 Spacious two separate rooms with all facility like attached bath room, TV and A/C. 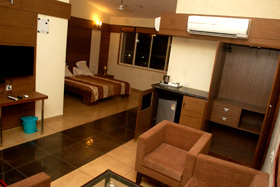 Our resort has been designed to create an ambience that is visually soothing luxury as well as provide you with a variety of facilities which include.